The Kinship calculator allows converting, transforming and analyzing kinship relations. 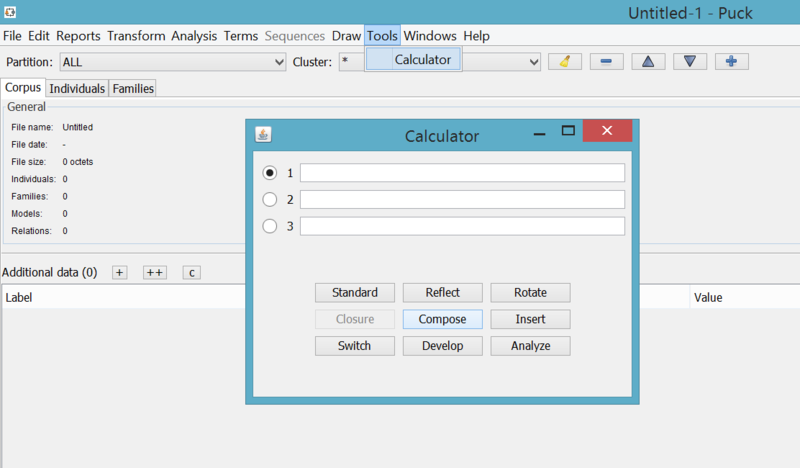 You can access to it by the command Tools > Calculator. Kinship relations can be entered in any notation. The calculator contains three lines in order to allow unary and binary operations. These operations can act on fully specified relations or on a relational schema (without specification of gender). The Standard button allows bringing the entered formula to its standard form. Then it will begin with the longest ascending and most "agnatic" chain (a chain is the more agnatic the more male members it contains and, in case of equality, the higher the position of these members). Rotate : replaces ego by the next married pivot (not married to ego). In consanguine relations, it is equivalent to identity. Switch : switches the selected relation from standard to positional notation, and vice-versa.